Modern Printing Techniques: Marketing is the key to growth and business for your brand. To create brand awareness and generate revenues, an effective marketing plan with both offline and online strategies is a must. With the headway in technology, digital marketing has opened new ways and techniques for business owners to target the right audience. A few years back, the print was considered to be one of the best ways to market your business. With the emergence of online marketing, print had become less relevant. But in recent years technology has drastically changed the printing techniques. Printed materials can be part of any successful market plan. Digital and print marketing both done at the same time can significantly benefit your business by providing your brand maximum exposure. Print marketing is a cost-effective strategy as you will get business cards, brochures, pamphlets, flyers, stickers or boxes that will surely grab customer's attraction and extend your brand efficiently. If you want to invest in print marketing, then you will need to know different printing techniques to choose the best for you because the way you prefer will have a significant impact on your budget. Offset printing is best for customize tags and fabric labels or stickers. It results in sharp images and bright colors giving the best visualization. It works perfectly on the full range of printing surfaces whether on paper, wood or plastic. With it, you can print high-quality images with high resolution with no freaky spots. It is cost effective as quantity goes up price will go down. This printing is known as offset as ink is not directly transfer to paper. Nowadays computer-to-plates method is in use for higher quality images. 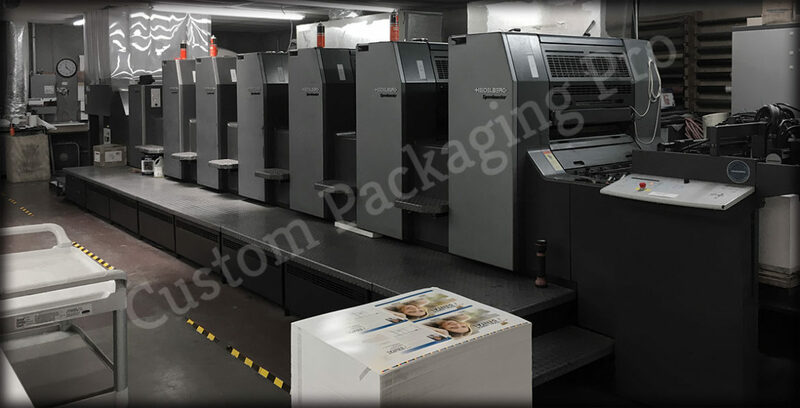 Offset printing is usually used with books, magazines or brochures. Offset printing offers you more choices regarding color, designs, and texture than any other printing techniques. It is the bit more expensive, but the high quality is guaranteed. It works well with casual design without affecting your budget. The printed design and letters are flat and more vibrant as rubber cylinder presses ink to the paper. The usual turnaround time is from a few days to a week. The common perception about digital printing is that its result is same to what you would get from a laser printer, but it offers you higher quality without any smudging and fading. 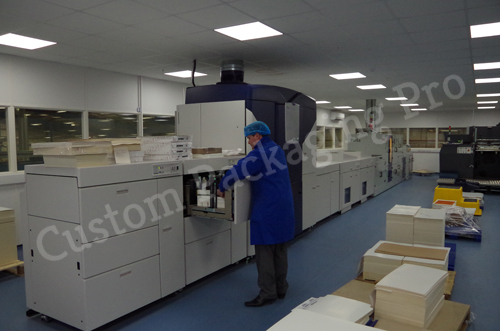 For single color labels in small quantity, digital printing will work best. It involves less mechanical steps as ink or toners are used in it instead of plates. It is an economical way to produce small runs. When you have less time and a tight budget, then digital printing is the ideal way to get casual and funky greeting cards or flyers. During the printing process, thousands of small ink dots are used to made design or to form letters on the paper. Digital printing mostly uses thin paper for printing because it is more flexible than other papers. Digital printing on thick paper is scarce. You can pick any color you require but the ink appear on paper is not as dynamic as with other techniques. It is fastest printing option with fewer expenses plus the manufacture and shipping time is just a few days. Screen printing with the variety of color, material, size, and combination of flexographic printing and that is why it is considered the most versatile technique. When it comes to commercial printing, screen printing is the right option because two plates can be used for multiple prints. It is preferred for large quantity, and massive production runs because of its consistency and stability. Colors used in printing are durable, and the designs are reliable due to composition and thickness of ink. It is a quick process as compared to other techniques. Screen printing produces vivid colors that are difficult to reproduce by other printing strategies. It is mostly used for outdoor purposes. Design can be easily transferred to the material through screen printing screen printing regardless of the thickness of the element. It is easily affordable, but its price varies depending on the size, complexity of design and colors to be used. Screen printing is specially designed to print in bulks in less time. Usual turnaround time for shipping and production is 7-10 days. Printing techniques have come a long way and will continue to evolve more which makes printing marketing a successful and a long run strategy. Technology plus printing techniques will give you best results, and it will surely help in brand awareness. If you want to produce the best kind of printing for your brand or product, then collaborate with a professional. Custom Packaging Pro gives you the best services regarding printing and also offer to flexibility to client's budget. At Custom packaging pro, they use three different printing techniques for so that your products can make the right impression, the first time.